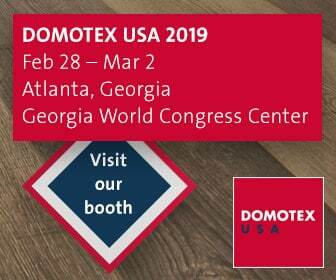 Thank you for supporting DOMOTEX USA 2019! Below are resources designed to help you make the most of your exhibit experience. For questions about your booth space logistics, payment or sponsorship details - contact Allison Ford, Operations Coordinator, at aford@hfusa.com or +1 (773) 796-4250 x 797. All exhibits / displays must be installed and have all empties removed by Wednesday, February 27, 2018 at 8:00 PM. Exhibitor Personnel are allowed access to the hall at 8:00 AM each day. All exhibit staff must exit the hall by 7:00 PM during show days. No access to the halls after 7:00 PM during show days without written approval from Show Management. 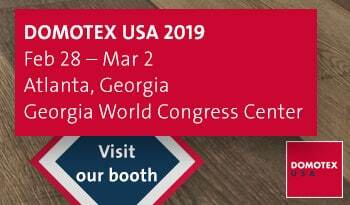 Due to the amount of time available for move-in during DOMOTEX USA, each company has been assigned a check-in time at some point on February 26-27, 2019. The schedule below targets check-in time waves to accommodate set-up of these larger displays. Use the trade show floor plan to identify your booth number and corresponding color on the check-in schedule. Exhibitors are required to strictly adhere to this schedule. If an exhibitor’s non-targeted move-in requires moving, dismantling, etc. of previously installed displays or display materials, exhibitor will be charged applicable labor and material fees. If you cannot adhere to your assigned target and wish to change, please email your request to: Bryan.P.Jones@freemanco.com. Please include dimensions and weight of largest piece, total number of pieces, booth number, carrier, current target date and requested target date. Every attempt will be made to accommodate your unloading times. Freeman will confirm all target changes in writing. See floor plan for your booth’s color designation as it relates to the check-in time. The DOMOTEX USA 2019 Exhibitor Services Manual is now live. Please click here to log in to your Freeman portal to access the service manual. Note: 10x10 booth includes 8ft drape at the back and 4ft drape on the sides. This event is governed by the IAEE Rules and Regulations for Cubic Content. If you do not wish to have drape, contact Freeman directly to remove the drape for your booth before the start of the event. Your booth will come with the raw space. Electricity, furnishings, displays and any other items needed are the responsibility of the exhibitor. All exhibits must have carpeting or some other flooring to the edge of the booth. No exposed concrete will be allowed. Exhibitor Registration is coming soon! Exhibitors will be allotted 3 badges per 100 sq ft for staff badging. All badges over this allotment will be billed at $25 per badge. One reprint will be allowed, however after that, a $25 fee for all reprints will be charged. There are multiple options for getting to the show. If you are flying, driving or even using public transportation, you can easily access the Georgia World Congress Center from multiple travel options. You can visit the GWCC website for more information on how to get to the venue. Hartsfield-Jackson Atlanta International Airport (ATL) is located 10 miles from the Georgia World Congress Center. There are several transportation options available, to include MARTA (mass transit train) access from inside the airport, Pay For Shuttle Services, Taxi Cabs, and Rideshare Services. For more information regarding transportation from the airport, please visit the airport website for guidance. Shuttles – There are several shuttle companies available from the airport to the downtown hotels. These shuttles have ride fare max charges to give riders a guaranteed rate. Visit http://apps.atl.com/Passenger/GroundTransportation/Default.aspx for more information or to book a service. International Terminal: Arrivals level outer curb. Taxicabs – Taxicabs are available at the lower level curbside, and in the Yellow Bus aisle. A flat rate fare to Atlanta downtown is $30 US. Additional person and baggage charges may apply. For more information visit http://apps.atl.com/Passenger/GroundTransportation/Default.aspx. Public Transportation – The GWCC and downtown hotels are easily accessible from the airport via MARTA, the Metropolitan Atlanta Rapid Transit Authority. A single $2.50 fare covers one February 28 - March 2, 2019 | Georgia World Congress Center, Atlanta, GA way bus or train trips, including transfers. For more information on riding MARTA, visit https://www.itsmarta.com/. Public Transportation- MARTA, offers service throughout the city by train or bus. A single $2.50 fare covers one-way bus or train trips, including transfers. Streetcar- For transportation in the downtown area including between hotels, restaurants and local attractions, attendees and exhibitors can board the Atlanta Streetcar at one of 12 stops. For details on the streetcar stations, attractions along the route and how to ride, visit http://streetcar.atlantaga.gov/. If you plan to drive to the event, you can park in the Red Deck. There will be a fee for parking, and there are NO in and out privileges. The fee for parking is $15.00 per day, oversized vehicles are parked in the Marshaling Yard. Overnight Parking is allowed with online pre-purchase only, for $25.00. Parking can be pre-purchased at the GWCC parking website: www.gwccparking.com. Parking permits can be printed, or the driver can show the attendant the permit on their cell phone. Visit https://www.gwcca.org/parking-directions/ for directions or more information. 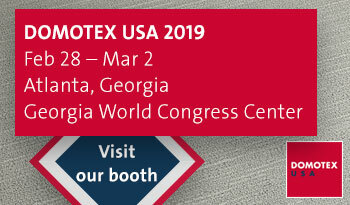 DOMOTEX USA will provide shuttle services to and from the hotels in block and the venue starting February 28 – March 2. 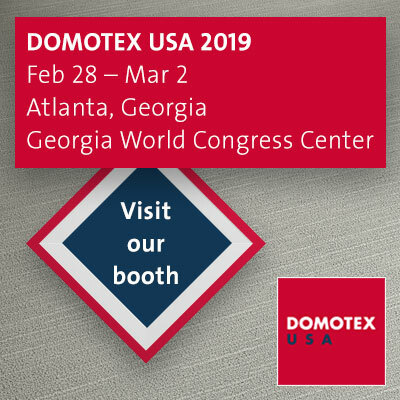 As we get closer to the event, more information including schedules and routes will be available on the DOMOTEX USA website under the “Travel and Transportation” section. When booking your hotel reservations, please make sure you use Connections, the only official hotel/housing provider for DOMOTEX USA 2019. We strongly encourage you to avoid other hotel or travel agencies, as many companies will take your credit card and not actually book a reservation for you. 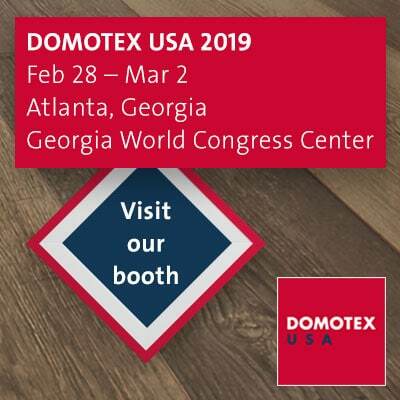 DOMOTEX USA Show Management has negotiated agreements with a select group of companies who are responsible for providing services needed for installation, day-to-day operations and dismantling of exhibits. Order forms and descriptions of their services and rates can be found in the exhibitor service manual. As we approach the show you might be solicited from a variety of vendors for different services including hotel accommodations and expo guides. 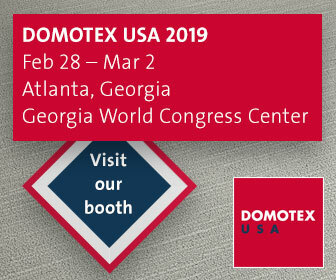 Please be aware only the companies noted on the Official Service Vendor List are affiliated with DOMOTEX USA 2019 and endorsed by Show Management.